The Mustangs are a proud group of swimmers, and we have a great time both in the pool and out. With a fantastic coaching staff that knows how to balance hard work and fun, we're always winning regardless of the meet results. Take a look at some of our recent activities. 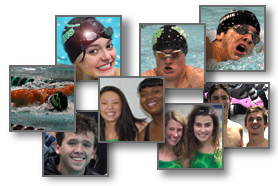 The 2017-18 Season was a great one, for both the team and the individual swimmers. We've compiled the best times for each stroke for both the women and the men. In addition, we've compiled the best times for the various relays as well. Check out the main menu under "records" to see them all. Kennesaw Mountain High School Swim & Dive is a leading swim program located in beautiful Kennesaw, Georgia. This Georgia High School Association (GHSA) program is lead by Coach David Reason, who possesses over 25 years of proven coaching experience, and established the program in 2000. Annually, the team is recognized for both it's athletic and academic performance. Go Mustangs.